I've been a massive fan of Indikidual for a while now - they make awesome kids clothes, that are colourful, cool and fun. I love all their prints and get massive clothes envy from their kids jumpsuits and banana prints. WHY WAS IT CREATED: I started indikidual when I had my daughter Minnie. It wasn't an easy decision as I really enjoyed my job as a fashion buyer but juggling full time work and kids was a complete nightmare! Once I decided to stop work I started working on designs for Minnie to suit her quirky personality and before I knew it I was doing my first trade show and had a good amount of stockists willing to trial the collection. WHAT WE NEED TO KNOW ABOUT YOUR BRAND: indikidual is about letting children's personalities shine. its about encouraging playful self-expression, spontaneity and daring to be individual. 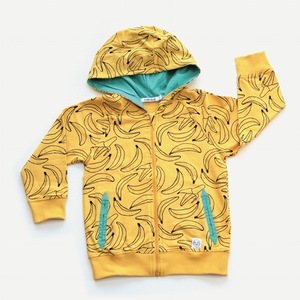 WHAT WE SHOULD BUY FROM YOU: Anything banana print! Check out indikidual's awesome AW15 collection! 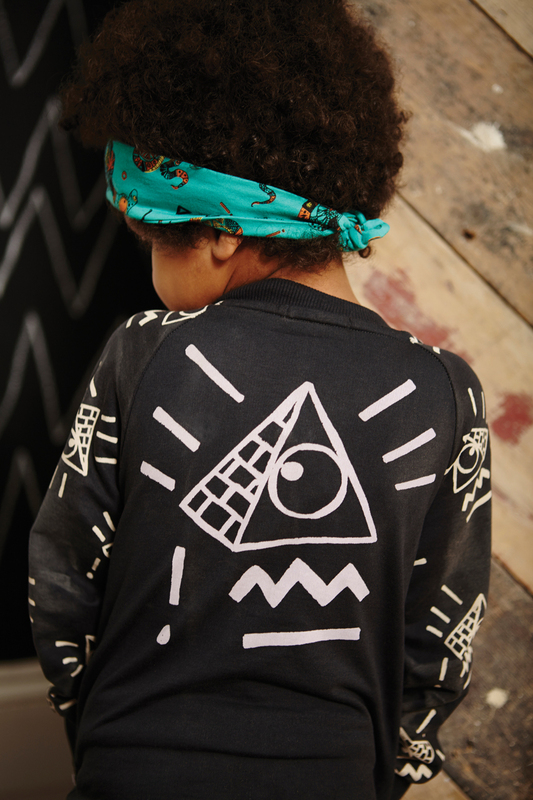 The indikidual AW15 collection brings together a range of fun and quirky hand drawn prints featuring graphic pyramids, skateboarding mummies and hieroglyphic doodles. Designed with kids in mind the collection is playfully practical with an extra pinch of personality. The range runs from age 3 months to 7 years and includes the ever popular jumpsuits, harem trousers, leggings and Joggers as well as some very cute baby rompers. As always all the cotton used in the collection is 100% organic.